Buffalo Horn Plates or say Buffalo Horn Scales are used in the making of luxury horn eyewear. Apart from this our horn scales are also used in Knife/shaving handle and other makings. 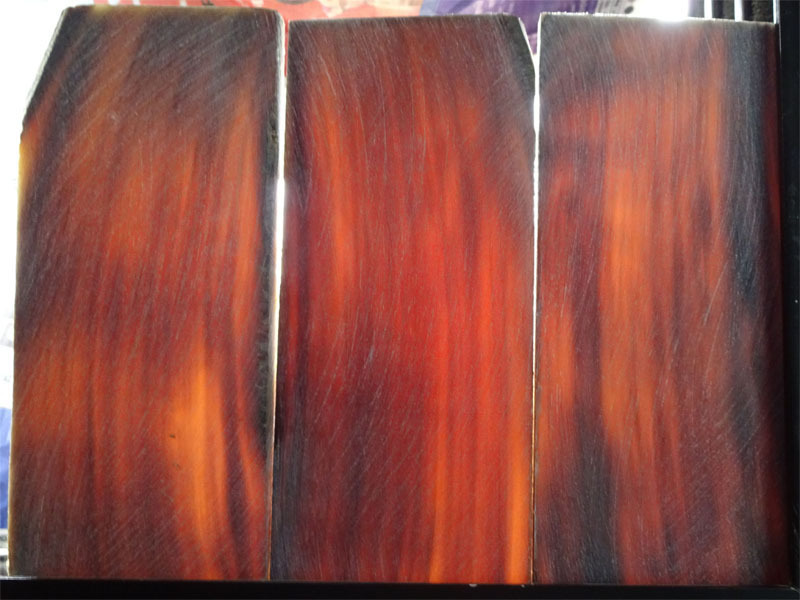 The standard size of our Buffalo Horn Plates is: 60 mm x 160mm , MNP: BHP06. Selecting appropriate Buffalo's Horn especially for Buffalo Horn Plates. Washing and cleaning The Buffalo Horns. Heating it for a long time on a slightly high temperature so that to make it straight. Giving is precise dimensions to that it can it in your CNC perfectly without hurting it. Making the edges perfect and removing low quality plates. The Milky white color in Buffalo Horn Plates is the lightest color. It's quite close to fully white except it is somewhat transparent too. 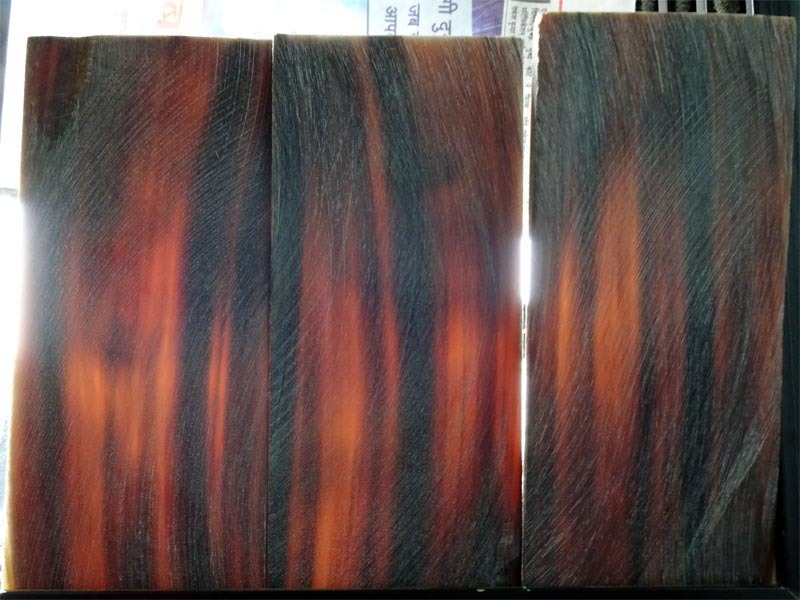 Only few of Buffalo Horn Plates have this color hence it has demand likewise higher in prices compared to other colors of Buffalo horn color. The Milky white color is considered to be fine ultra-premium color in Buffalo Horn Plates. 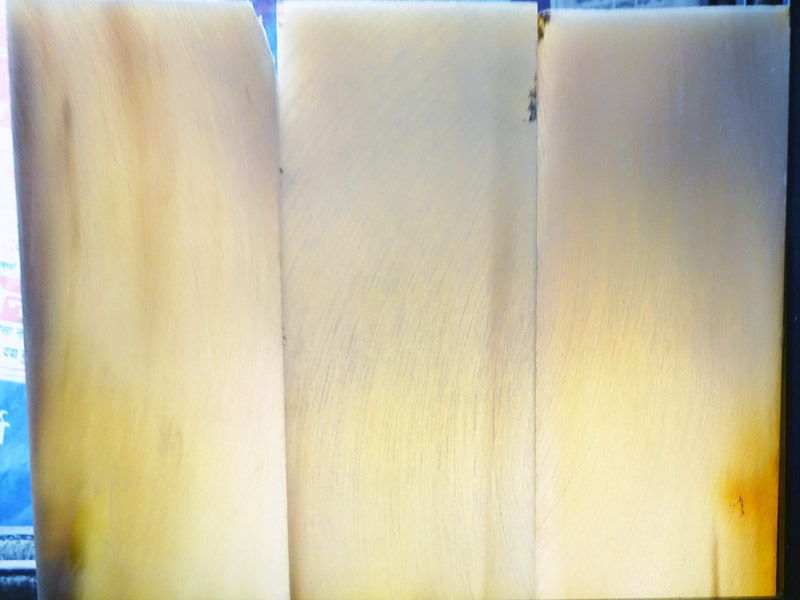 The Light white color in Buffalo Horn Plates is the second lightest color. It's a lightest shade of Brown Color in Buffalo Horn having quite high transparency maintaining the color. This is also 2nd color in terms of rareness. 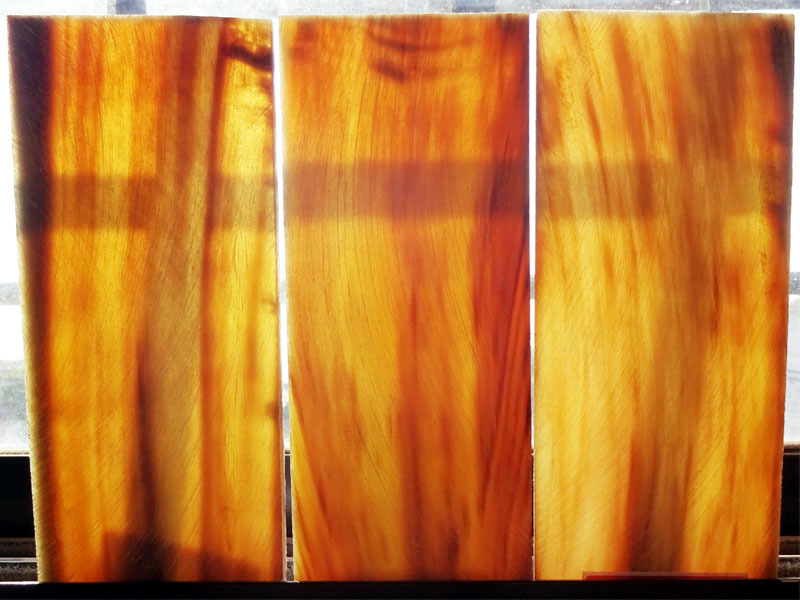 Light White color in Buffalo Horn Plates is the premium color. The Brown Color is Buffalo Horn Plates is very popular for making bespoke eyewear. This color's scales have lesser black strips compared to the Dark Brown. 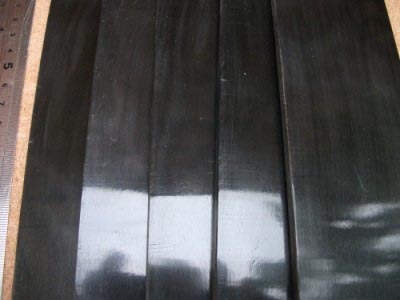 Being popular the Brown color in Buffalo Horn Plates have high demand. The Dark Brown Buffalo Horn Plates are closer to the Black color expect it has brown Strips giving its luxurious look. Strips vary naturally giving its own beauty to each plate differently this is one of the aspect making horn eyewear a preferred choice. Jet Black color in Indian Buffalo Horn Plates is usual and have own identity in horn eyewear colors. This is jet black color having no transparency, just pure fine black color giving the real look of natural horn. By default Black Horn Plates are provided without polish like rest other. The referenced picture have polish though. Black Horn Plate having white strips is very unique color and rare too. This color also don't have transparency making it same in the all lights. 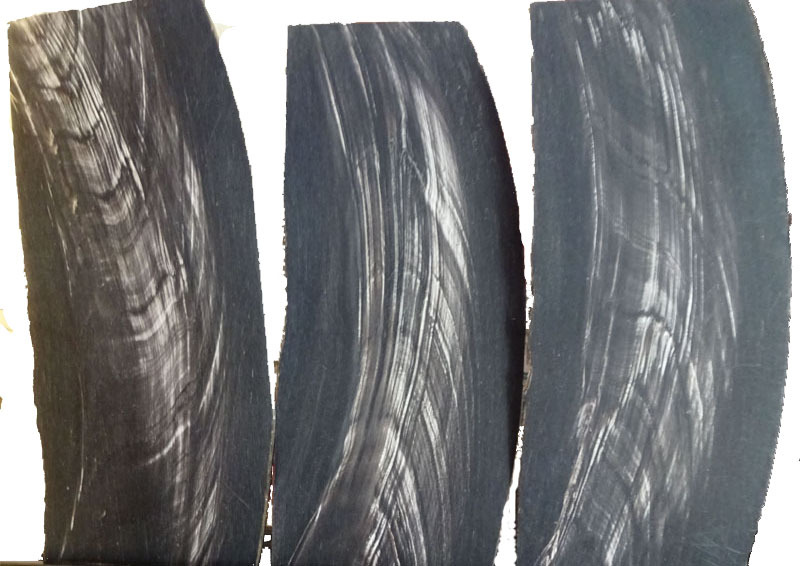 Our Black with White Buffalo Horn Plates have high rate of White strips on it compared to others. One side is already polished making the white strips visible easily. Here you can place trial order through PayPal. Prices per dozen.